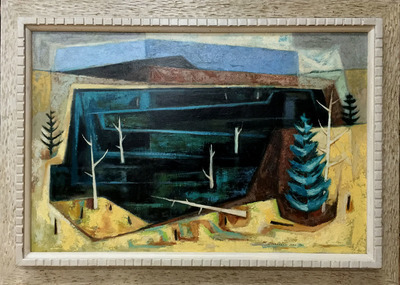 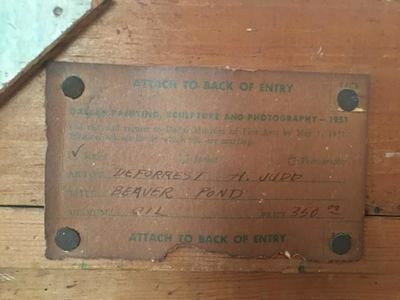 Deforrest Judd " Beaver Pond "
Exhibited Dallas Museum of Fine art May 1951. 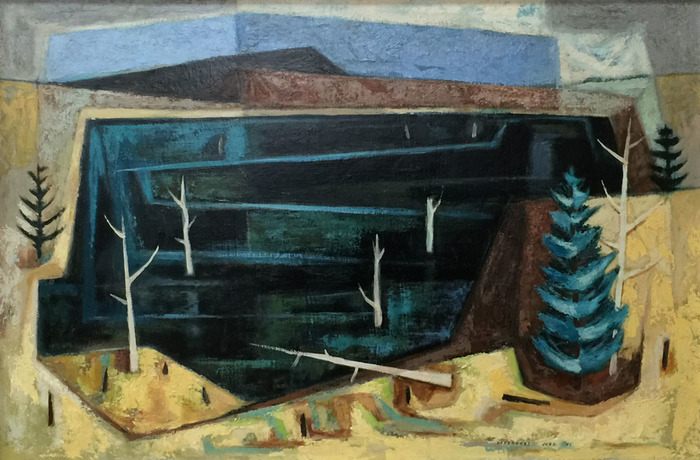 A landscape painter and longtime professor, from 1946 to 1982, at Southern Methodist University in Texas, he has also taught at the Dallas Museum of Fine Arts. He was born in Hartsgrove, Ohio and studied at the Cleveland Institute of Art, graduating in 1938 and from 1939 to 1942, did post-graduate work at the Colorado Springs Fine Arts Center as a student of Boardman Robinson. 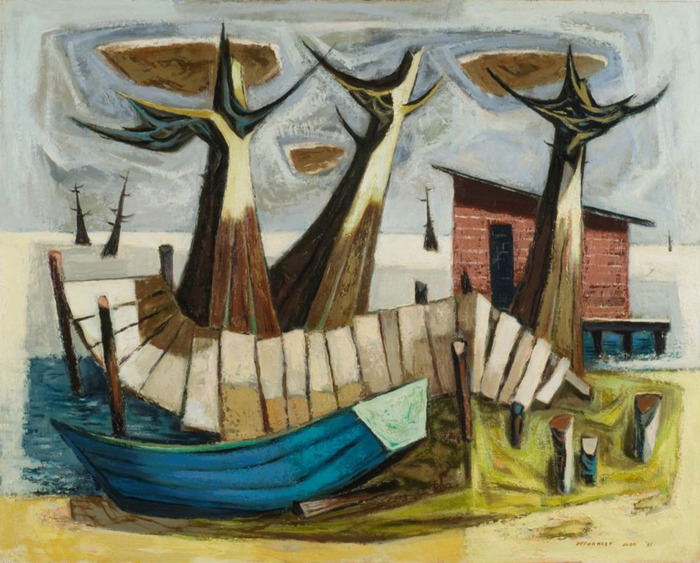 His work is in the collections of the Cleveland Museum of Art, the Dallas Museum of Fine Arts and the Beaumont, Texas Museum.